Home > News - November 2015 > FAQ - PRIVATE CAR INSURANCE...! 1. What are the insurance policies available for the private car? Third party insurance policy covers legal liability of the insured towards death, injury to persons and damage to property of the third party. This cover is a must and minimum as per the Motor Vehicles Act for using any car in a public place. This is also known as ‘Act only’ Insurance or Liability only cover. Comprehensive policy covers damage to the insured vehicle in addition to the third party insurance. 2. What is IDV of the vehicle? IDV is the Insured Declared Value of the vehicle. It is the sum insured fixed at the commencement date of the policy and normally filled by the proposer in the proposal form. It is the amount which the insurer will pay at the time of claim, if the vehicle is lost or stolen or damaged beyond repair. 3. What is No Claim Bonus(NCB)? Insurance company gives discount on the Own Damage section premium for a claim free year to incentivise accident free driving. This is called No Claim Bonus. The discount starts at 20% and is cumulative. The discount increases with every claim free year. The maximum NCB is 50% and results in substantial saving on Own Damage premium. NCB can be availed when policy is renewed before the expiry date. The benefit can be also availed if the policy is renewed before 90 days from the date of expiry. Afterwards, NCB can not claimed. 4. If new car insurance is to be bought online, what information do I need to fill and what documents are to be submitted? Normally, the car dealer will arrange for the insurance for new car. Insurance is mandatory for vehicle registration under Motor Vehicles Act. Even the dealer offers choice of insurers. Due to some reasons, if the insurance is to be purchased online, the information of the new car like Engine capacity like Engine Number and Chasis Number is required. In addition, the details like CC, make, model and manufacturing year of the car, purchasers address, value of the vehicle etc have to be filled up. However, it is recommend to keep details of the previous expired insurance policy (if NCB is to be claimed) and Registration Certificate of the car ready, to buy online insurance or renew the policy. 5. What is a cover note? It is a temporary document that acts as a proof of insurance of the vehicle. It is valid for 60 days and is replaced by the policy document. Earlier, the car dealer or the insurance official used to issue cover note as policy cannot be issued immediately. Nowadays, cover note is rarely used. 6. How is the premium of new car insurance determined? The premium for your car insurance is calculated on different factors for the Own Damage cover (Comprehensive cover) and the Third party cover. Engine CC – Engine Cubic capacity of the car is one of the factor for rating of Own damage and Third party insurance premium. Manufacturing Year – This is to decide whether comprehensive cover can be given or not. Many insurance companies do not give own damage cover for vehicles more than 7 years old. Your geographical location – According to India Motor Tariff, India is divided into 2 zones. Zone B – The rest of the country. The premium varies for each zone and more for Zone A. Any add-on benefits opted like Personal Accident cover etc. 7. What are the additional covers (Add-on covers) available with the car insurance policy? Add-on covers provide additional protection or extra benefits / less deduction when a claim is preferred. Extra premium is to be paid and they are optional. Zero Depreciation cover is an absolute must have for all new or relatively new cars. This is also known as Bumper-to-Bumper cover or Nil Depreciation cover. It does not take into account depreciation on car parts to be replaced in a claim. Electrical or non electrical extra – This cover is for the insurance of extra items fitted in the car. This is part of own damage section of comprehensive policy. Personal Accident insurance – The PA insurance is available for Insured while driving the car, passengers travelling and paid driver. The other add-on covers are the Invoice Cover and Roadside Assistance cover. 8. What are the discounts that can be availed in taking car insurance? The main discount is the No Claim Bonus (NCB) which is explained earlier. This forms a main benefit in saving the premium. Membership discount – Discount is given if the insured is the member of recognised Automobile Association of their respective region. For example, for Chennai, the membership is to be with Automobile Association of Southern India. Loyalty Discount – some insurers give discount for insured for their continuous renewal. Occupational Discount – some insurers give discount for professionals as they are deemed as safe drivers. Installation of anti-theft and safety devices – Discount is given as this improves the risk against theft. 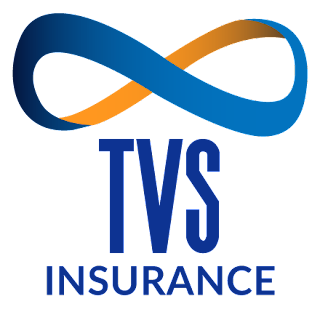 Voluntary Higher Deductible – Car insurance are subject to an excess, over and above only a claim can be preferred. If the proposer is willing to bear additional amount in a claim, then voluntary deductible discount is given. The new car owner should avail Nil depreciation add-on cover to avoid unnecessary high repair payment due to depreciation in case of a claim. 9. Can a Claim for minor damages be made under the private car insurance policy? Minor damages normally require small amount to be spent on repair and replacements. It is difficult to decide which a minor damage is. The fact is when a claim is made; the benefit of no claim bonus (NCB) is lost. The accumulated NCB is lost, if even a single claim is made, how so small the damage should be. Hence, the comparison of claims amount should be with the NCB amount being affected. If the expenses for damage repairs are way too high, then it is better to make a claim and lose the NCB discount. 10. Why the sum insured in private car insurance policy is less than the ex-showroom or the price paid for the car? The value of the car decreases once the vehicle is taken out of the showroom. The less value is due to notional loss of market value, as the vehicle is already registered. The depreciation is the main factor to determine the IDV (Insured Declared Value). The rate of depreciation applicable for age of vehicle upto 6 months is 5%. Hence, the new car value is less by 5%. Moreover, the price paid includes registration charges, insurance and service charges, which are exclusive of showroom price. 11. How to cancel a new car insurance policy? It is necessary to know the reasons for the intention to cancel the policy. Driving on the road without an insurance policy is against Motor Vehicles Act and attracts fine and penalty. It is mandatory to have third party insurance policy. On sale of car, normally Car insurance policy is transferred to the buyer. So, if a comprehensive policy is not required, at least third party insurance policy is a must. 12. Can the vehicle insurance policy be taken for the second hand car, if the car is in the seller’s name? The insurance can be availed by submitting the sale letter from the seller (Form 29 & Form 30) and previous insurance policy details. 13. What happens to the car insurance covers when the car is sold? Buyer can get the policy transferred in his name by informing the insurance company in writing. The insurance company will confirm the name change by an endorsement. The seller can cancel the policy and get refund of premium for the remaining period of the policy provided there is no claim. The buyer will buy a fresh policy. The insurance company will cancel the policy only on submission of necessary documents for ownership transfer and also a copy of the new policy for the vehicle. The NCB will remain with the seller and can be availed if the new vehicle is bought. 14. If CNG or LPG kit is fitted in the vehicle, whether the same is to be informed to insurance company? CNG or LPG kit is insured separately. Hence the same is to be declared while taking the policy. If these are fit during the currency of the policy, this changes the fuel type and risk nature. Hence, the insurance company is to be informed with the updated registration certificate to get endorsement for inclusion of the kit. 15. What is not covered under Car insurance? Loss or damage or liability when the driver is under the influence of drugs or alcohol etc.